We have a large selection of affordable and luxury ski property for sale in Switzerland and a team of property experts ready to help you through the buying process. Our team have extensive knowledge of the Swiss property market and substantial experience of the resorts where we sell property. 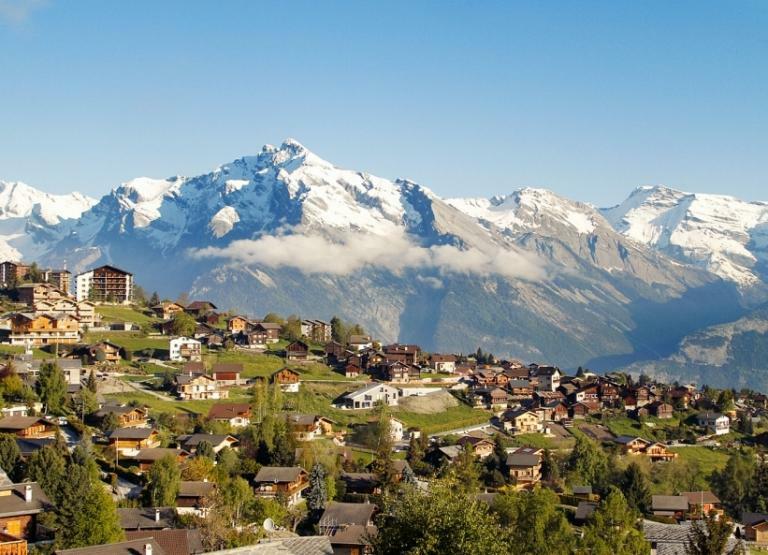 Our team members have all lived across Switzerland and have a detailed understanding of the Swiss ski property market. We provide a personal service that is tailored to your exact requirements, supplying you with professional guidance on the different types of property available for sale in Switzerland. Our staff are ready to meet you, answer any questions and help you find the right apartment or chalet for your situation. 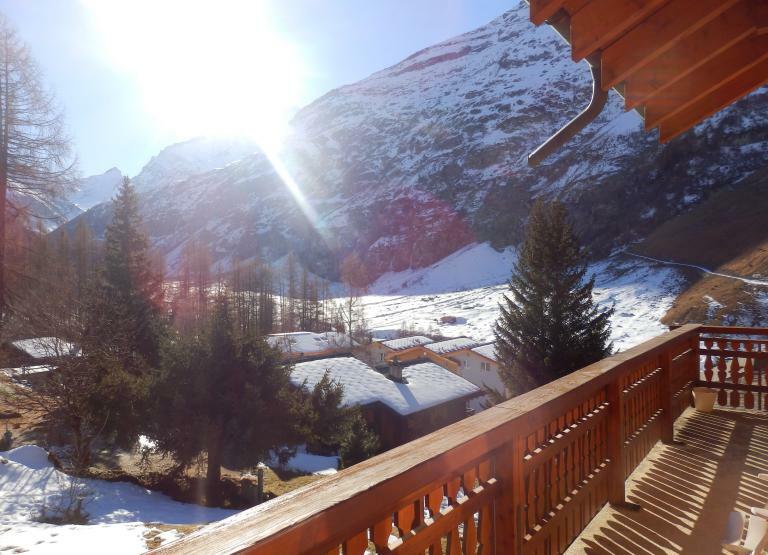 Looking for a dream chalet in Switzerland? Switzerland is one of the world’s most popular skiing destinations with an outstanding variety of powdery slopes, icy glaciers and snowy summits. We offer a vast portfolio of ski properties to suit every budget, taste and requirements. 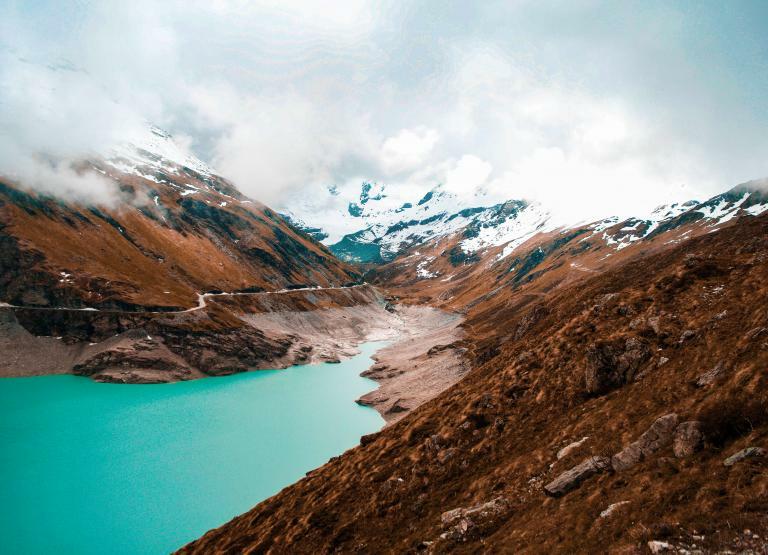 Property in Switzerland is surrounded by natural beauty, with stunning wildlife to charm you during the summer and world-class skiing to keep you busy during the winter. Browse our extensive portfolio of chalets for sale in popular resorts such as Verbier, Champery, Grimentz and Nendaz. Whether you are looking to purchase an investment property or a long-term holiday home for your family, get in touch and our team of property advisors will be happy to help. We offer a wide range of ski property for sale in Switzerland from small 'lock up and leave' apartments to large chalets with indoor pools, incredible penthouses. 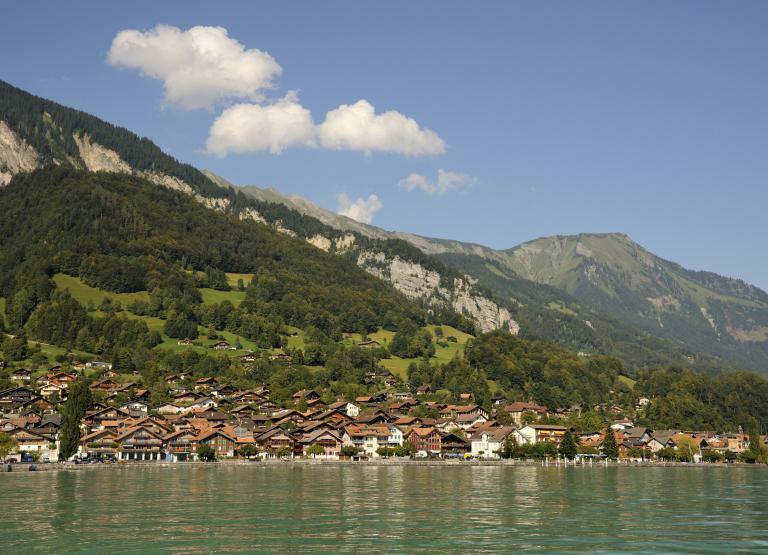 We offer an extensive range of apartments for sale in Switzerland. From small studios suitable as a pied-à-terre, to vast penthouses with wrap-around terraces and incredible mountain views. 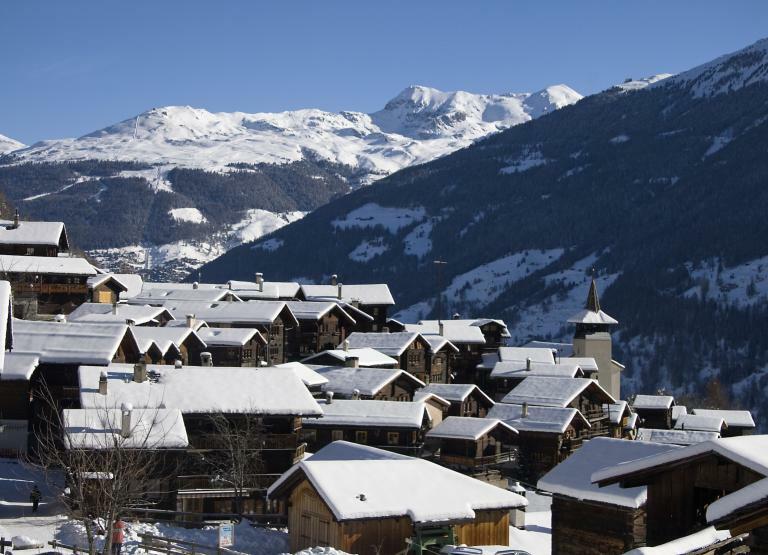 We have a large portfolio of ski chalets for sale from cosy, old-fashioned chalets to chalet hotels in world class ski areas overlooking the stunning Swiss ski slopes. We only list the very best Swiss property for sale. 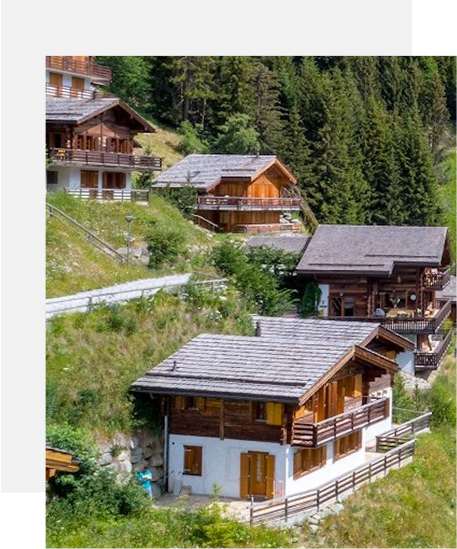 Swiss chalets and apartments for sale in the popular resorts of Verbier, Nendaz, Grimentz, Champery, Interlaken and many others. 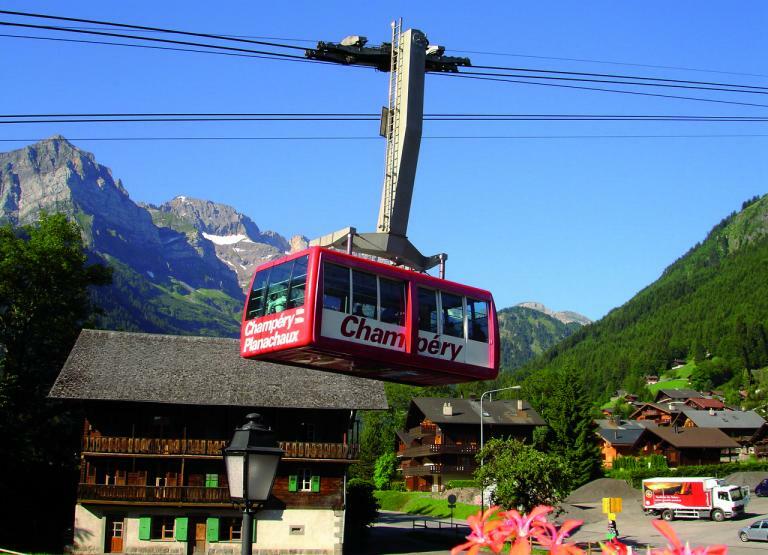 Champery is a charming Swiss village and is part of the Portes du Soleil ski area, the world’s largest ski and mountain bike domain. 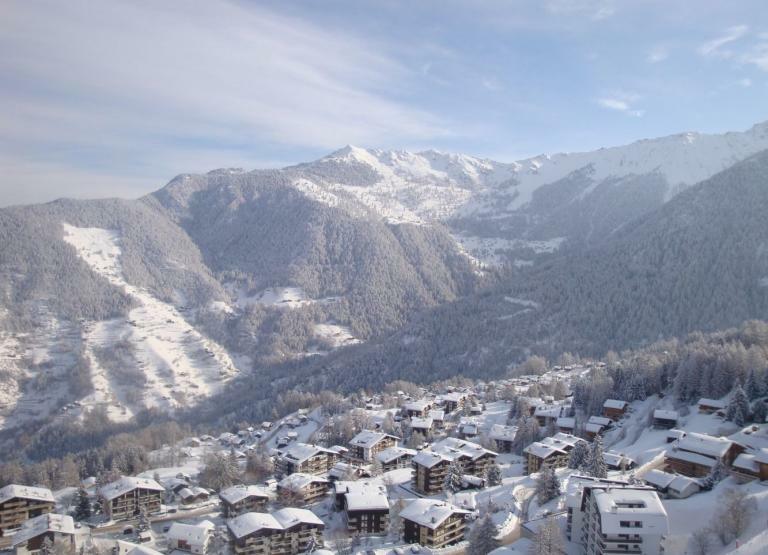 Our current selection of properties in Champery includes a new development of luxury apartments which are close to the resort centre and ski lifts. 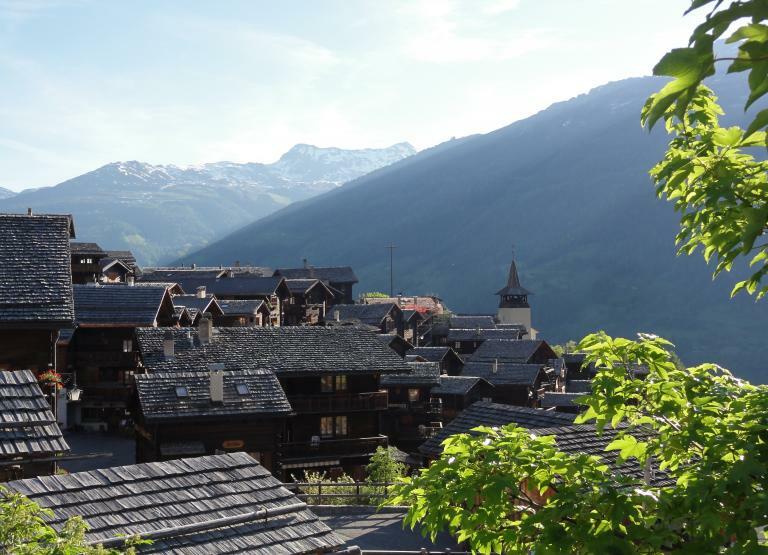 Grimentz is a 15th century village that boasts an historic centre and contains many original and traditional chalets and farm buildings. Situated at the end of the Val D’Anniviers, the properties in Grimentz include custom built chalets, exclusive developments and properties designed to complement the natural surroundings. 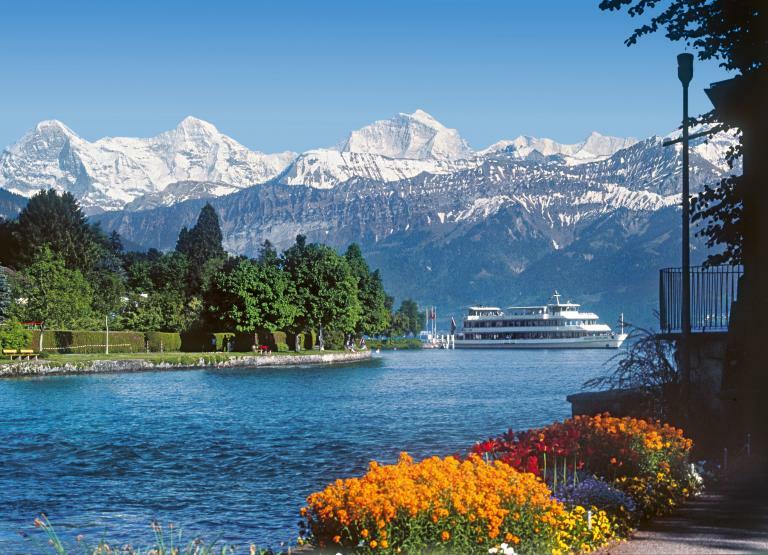 Interlaken is a lakeside town close to Grindelwald that is steeped in tradition, located between Lake Thun and Lake Brienz with skiing to over 4,00m and across 213kms of marked pistes. The properties that can be found here include modern and contemporary chalets that perfectly combine the traditional chalets of the Berneseoberland. 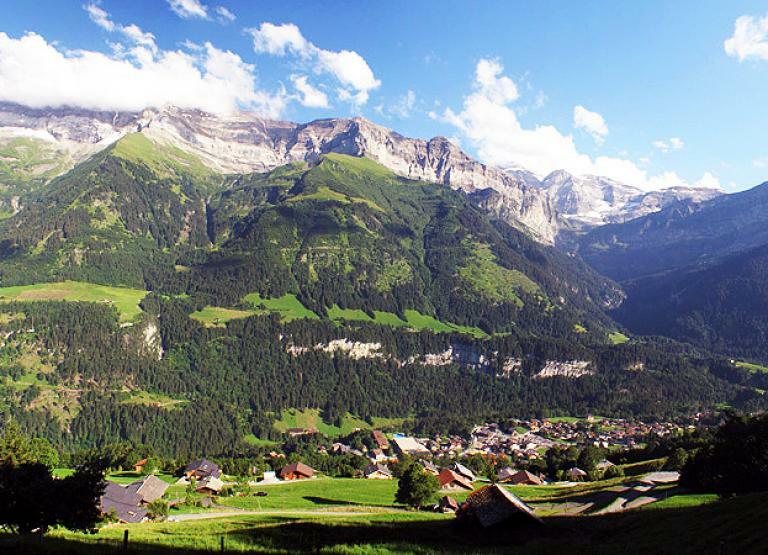 Grindelwald is a glacial town situated in the Interlaken-Oberhasli and is an ideal location for those looking to ski, climb and bike. As a true four season destination, Grindelwald has a selection of boutique shopping and restaurants and 213kms of marked pistes. 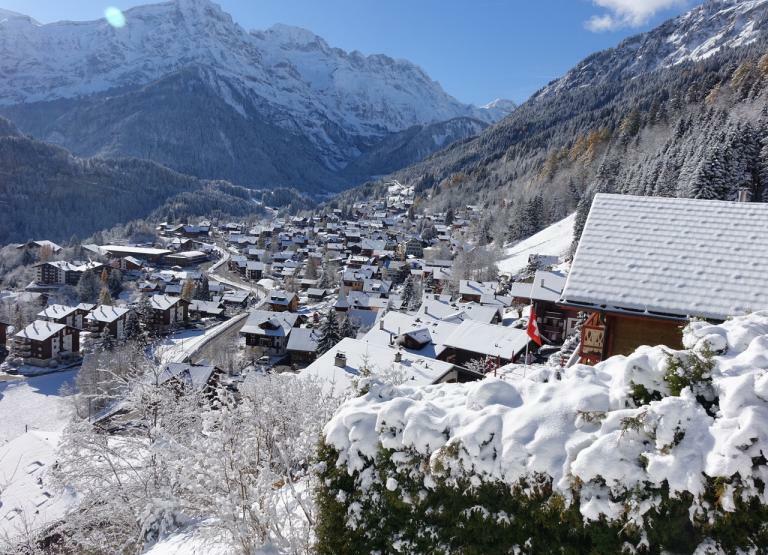 La Tzourmaz is a hidden gem that is growing in popularity and is where you will find some of the cheaper properties in Switzerland, which can be up to a third cheaper than in Verbier. Our selections of properties in La Tzoumaz have magnificent views of the Rhone Valley and are built to the highest standard. 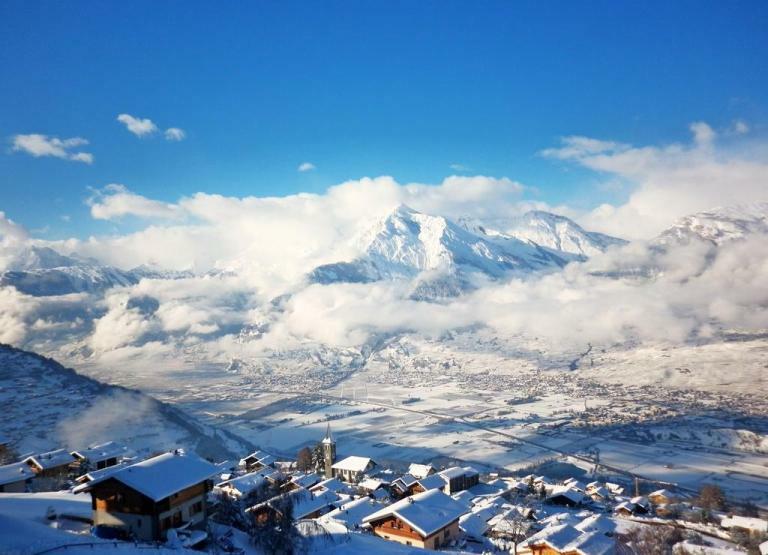 Nendaz is a lively resort located in the heart of the Four Valleys and is ideal for families. Benefiting from endless summer and winter activities, Nendaz still holds its charming historic authenticity. Our properties in Nendaz range from traditional Swiss properties to luxury apartments offering direct ski links. 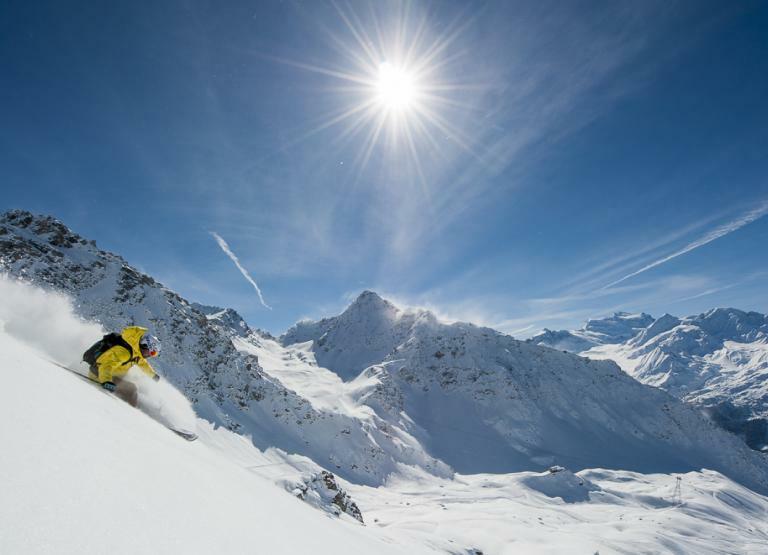 Verbier is one of the world’s premier ski resorts and renowned for its nightlife, après ski and over 400kms of piste. 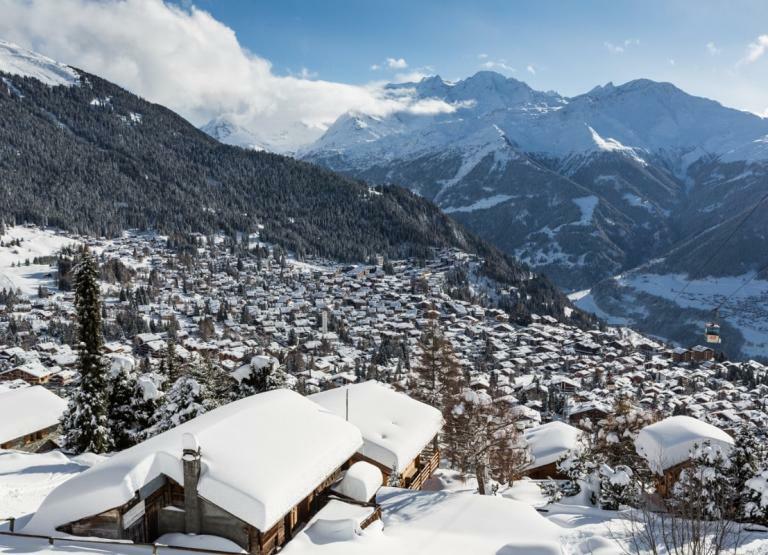 Offering some of the most desirable ski property in Switzerland, Verbier offers endless summer and winter activities with an added touch of glamour. 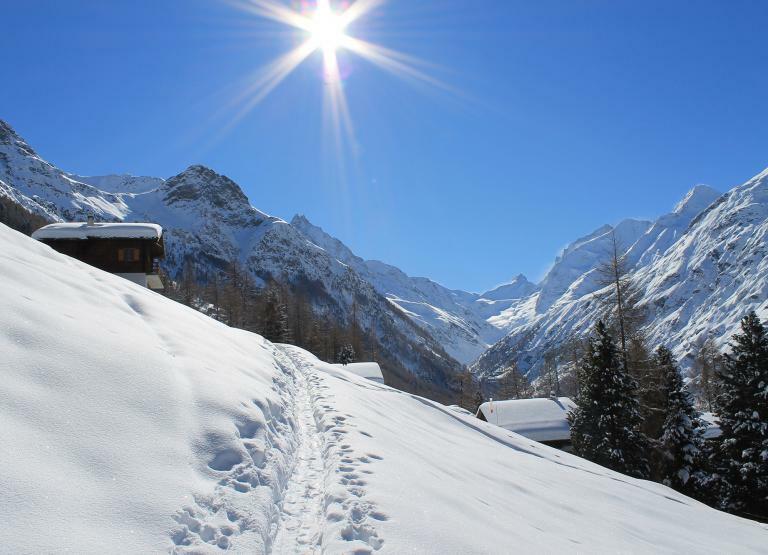 Zinal is a charming Swiss resort in the Val D’Anniviers that offers some of the most authentic alpine properties in Switzerland. 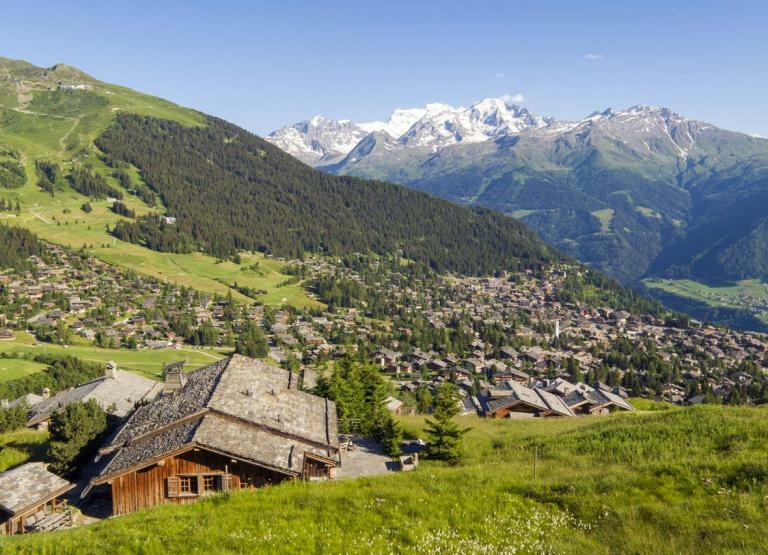 Perfect for outdoor enthusiasts, Zinal dates to the 15th century and offers a spectacular setting for Swiss property buyers looking for a truly authentic alpine experience. Our team of property advisors can help you purchase alpine property in Switzerland, get in touch to find out how we can find you the perfect home, apartment or chalet.